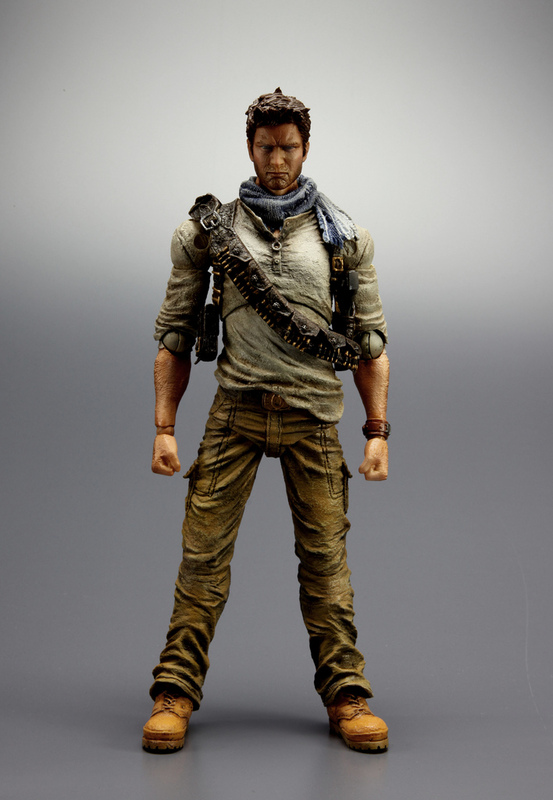 The Playstation Blog has revealed two upcoming Uncharted 3: Drake’s Deception Nathan Drake figures. Our partnership with ESC Toys has been a long, long time in the making. As of this week, the UNCHARTED Nathan Drake limited edition vinyl figure is finally available for pre-order! 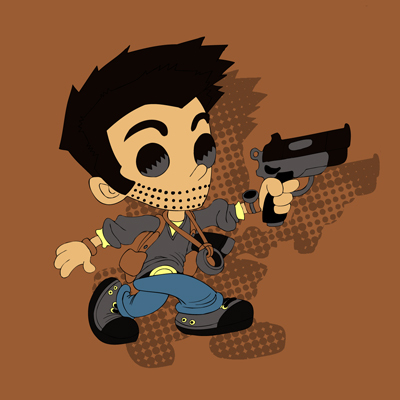 The 7″ vinyl figure is a combination of vinyl and PVC materials along with minor articulation and is based on the stylized translation of Nathan Drake by Erick Scarecrow. There will be two colorways: the OG “original” colorway which is standard edition and the “Naughty Dog” colorway which is limited to 500pcs worldwide. The pot has been sweetened a little since each figure is packed with a PlayStation Store voucher code redeemable for exclusive UNCHARTED 3 downloadable content! All figures are scheduled to ship mid October 2011, if not earlier – You can follow @ESCToy on Twitter to stay up to date on the latest! 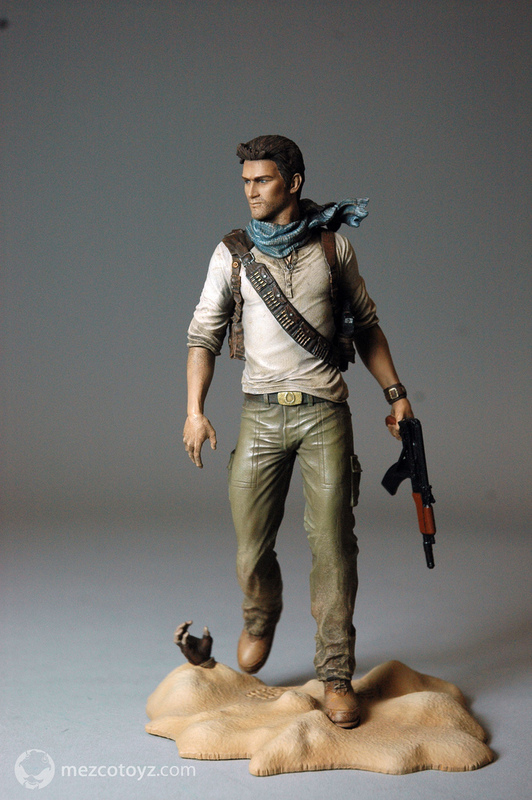 We’ve partnered with the award-winning Mezco Toyz to release a 6-inch scale figure of Nathan Drake based off of the iconic cover image from UNCHARTED 3: Drake’s Deception. We worked closely with Mezco’s Design Team to create a figure that goes beyond a simple likeness but embodies the very “essence” of Drake. From his AK-74, holster, and bandolier, to his ring necklace, everything is perfectly game-accurate. The figure also comes with a sturdy, textured “sand” base to complete the display. 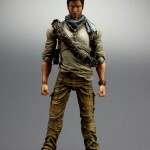 The Mezco Toys Nathan Drake Figure is scheduled to be available in the Fourth Quarter of 2011 – and will be available for purchase at MezcoToyz.com and finer retailers. The Square Enix Play Arts -Kai- action figures caught our eye last year as we were roaming around the SDCC exhibit hall. Just one year later, it’s awesome to come back to SDCC being able to reveal we are working with the team to create a high quality collectible Nathan Drake figure! The release date hasn’t been set, but we’ve been able to work with our partners at Square Enix to give you this sneak peek at the figure, which features 21 points of articulation. Oh god..Play Arts Kai! PAK has certainly stepped up, seems like a catch all for most popular video game properties now. oh this is so getting on my videogame characters shelf. That Kai Drake is mine!!! Will Square Enix having a SDCC exclusive like the snake they had last year? Wish I could afford this along with all the other junk I want. This is awesome. That Play Arts kai figure is pretty cool! I def want this! These Play Arts Figures are really looking awesome and they have all these great properties: Bleach, Halo, Uncharted, Deus Ex, Batman Arkham City... Now if Square Enix could just get their hands on Mass Effect.